When we check our email, many of us rely on the message snippets to figure out which emails to open first. We've been listening to your feedback though, and we know that sometimes, you want more than snippets. This is why I’m happy to announce that you can now preview messages in your inbox using a new feature in Gmail Labs called Preview Pane. It’s probably a very familiar layout to those of you who have used Gmail on a tablet device. We also think it’s going to work especially well if you have a larger resolution screen. 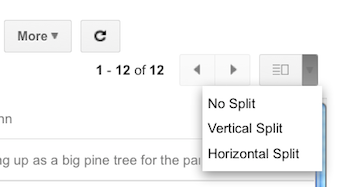 If you’d like to remove the new layout, simply return to Gmail Settings and disable the lab. Finally, don’t forget to let us know what you think about the latest addition to Gmail Labs. Super awesome. I like it already. 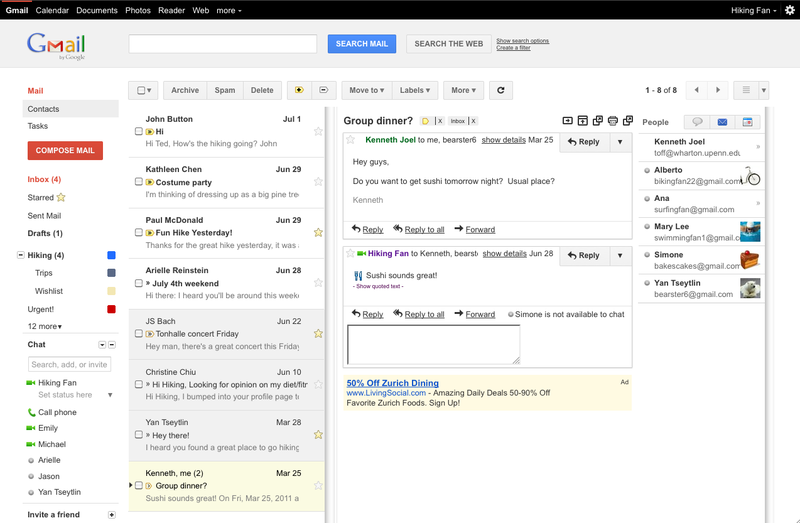 Fantastic, this is one my most favorite Gmail lab ideas yet. Keep up the great work Guys and Gals. This seems to be incompatible with the "Multiple Inboxes" lab. Otherwise, it seems like a great idea. After enable this "cool" preview pane as vertical, I want to make list of email as only 2 line without preview of email line. How can I do this? The three fixes needed for this new option is that chat goes on the left side instead of the right when the lab is enabled, the drag and drop place where you can drag this message to various labels like spam, trash, personal, notes, etc. is changed in looks with the star on the right side instead of the left, and the checkbox splits the drag spot into two due to its central location. Also the design on the left side (navigation area) with the calendar quick view lab enabled adds one too many scroll bars to the page. Please fix. Thanks. New technologies, new ideas comes to our lives everyday... But nooooo, we have to go back to the old practices and we have to greet them with cheer?!?! Didn't Gmail already have an option to see couple of sentences from the email without any need of a pane? Why does everything have to look like a Microsoft or Apple product? I like it, though I had to change the resolution of my browser to accommodate the multiple panes. Wow another superb feature! This is why i loved gmail! Keep it up guys! This is awesome - I changed and my partner saw it and asked how to change his and he loves it too. Awesome. It may be a bit late to pose here, but I would love Google to allow one to "save and view", and to make a draft visible as an already sent email. I tend to find typos in emails I just sent, and I believe it is necessary to separate "writing" and "reviewing/proofreading" modes in terms of background color (white/light grey) and layout (editing bar, etc).